April 4, 2012 / P.J. Sticking with the leaky boat metaphor, the place to start is by identifying the biggest leaks that are the simplest to fix. In the case of disc golf putting, one of the big gushers for many players — even those that have played for years — is the line and the speed of the putt. If I had to pick one chronic error that I think more than any other defines the separation between players who don’t consistently score well from those who do, it would have to be leaving comeback putts that are unnecessarily long. Talk about adding insult to injury! And when it’s not just bad luck, avoidable comeback putts are the result of putts that have too much speed, a line that is too flat, or (usually) both. You have a 35-foot putt you think you can and should make, you go for it, and miss. Now you’ve got a 25-foot comeback putt, and the knowledge that you might three-putt from 35 feet tends to make it even harder to focus on that comeback putt. You feel like you’re taking such a wasted, unnecessary stroke- and you’re right. You won’t make every putt from 35 feet, but you should never do worse than two-putt from there. The secret is to develop a line-and speed approach to putting that balances two factors — trying to make it in the basket, and making sure you leave a short, stress-free comeback putt – using a ratio that corresponds to your odds of making the putt. 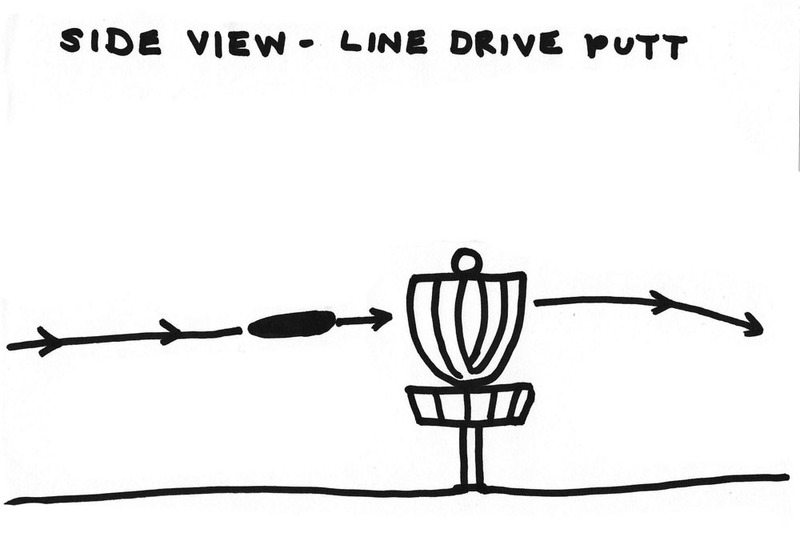 The best way I can explain this concept is to use ball golf as an example, specifically a technique referred to as “lag putting.” When a ball golfer “lags” a putt, his focus is on making sure the ball ends up close to the hole for an easy next putt. Depending on the distance from the hole and the difficulty of the perceived comeback putt a lag putt may be 50 percent “go for it” and 50 percent “make sure it ends up close,” or it might be all about getting it close without even a thought of getting it in. But the main point is that there is some thought given to the idea that the putt might not go in on the first attempt, so golfers at least try to use the right amount of touch to ensure it ends up close enough to get it in on the next attempt. In the simplest, most easily visualized terms, the line of any shot is the imaginary line that traces the path your disc travels from the time it leaves your hand to the time it reaches the end of its flight. Obviously every shot in disc golf is slightly different, due to distance, obstacles, elevation change, etc. So it’s impossible to take a one-size-fits-all approach to choosing a line. 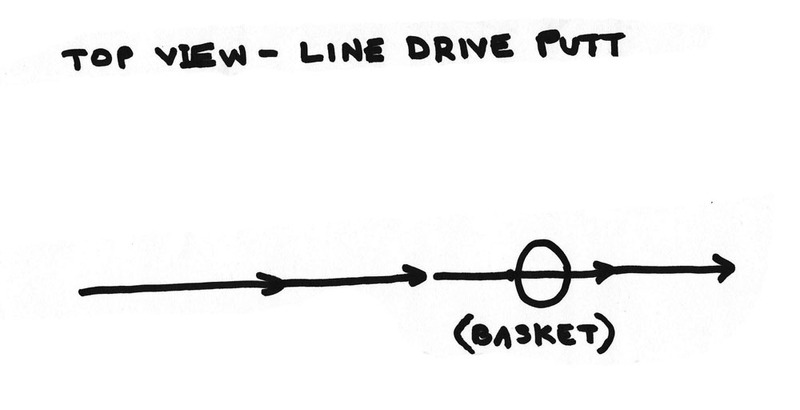 But in general the farther away from the basket you get — as your chance of making it decreases — you want your line to be more of an arc, and less of a straight line (figures 1 and 2). 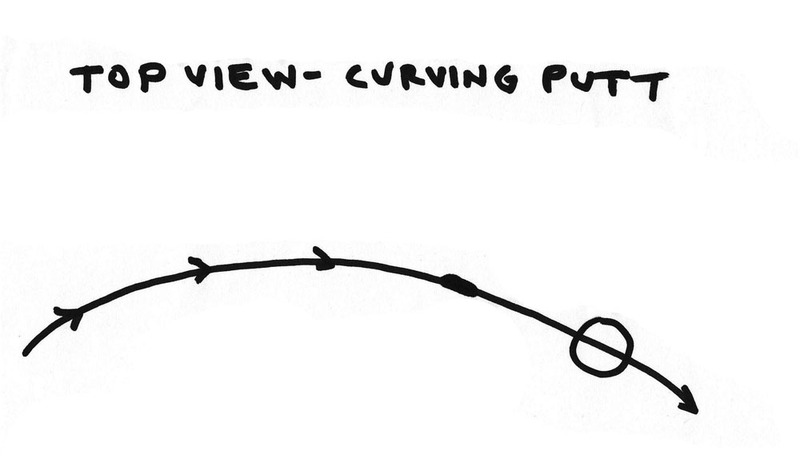 The arc should be a combination of up-and-down (like shooting a basketball) and side to side. The result should be putts that are dropping and curling as they approach the basket as opposed to charging by like a train ignoring one of its stops. The speed of the putt it closely tied to the line, since getting a disc to arrive at the end of a correctly chosen arc involves using just the right “touch,” which is another word for speed. But it’s worth mentioning separately because for many people it’s easier to learn this technique from a speed-and-touch approach than from an arc, or line, approach (figures 3 and 4). This is especially true if you are far enough from the basket that you can’t use a true in-line or straddle putting technique, and are instead throwing your putter. Say from 70-100 feet. Far enough that you gotta throw it, but close enough that you want to at least give it some kind of run. In this case, the speed control – like lag putting in ball golf – is of utmost importance. For putts like these the idea is to throw it just far and fast enough so the disc runs out of juice as it gets to the target. Right-handed backhand throwers want to aim high and right so the disc flies straight most of the way, then ‘falls’ down and left toward the basket on a hyzer angle. Chains may be the iconic part of a disc golf basket, they can make beautiful music, and they do an amazing job at snagging discs. 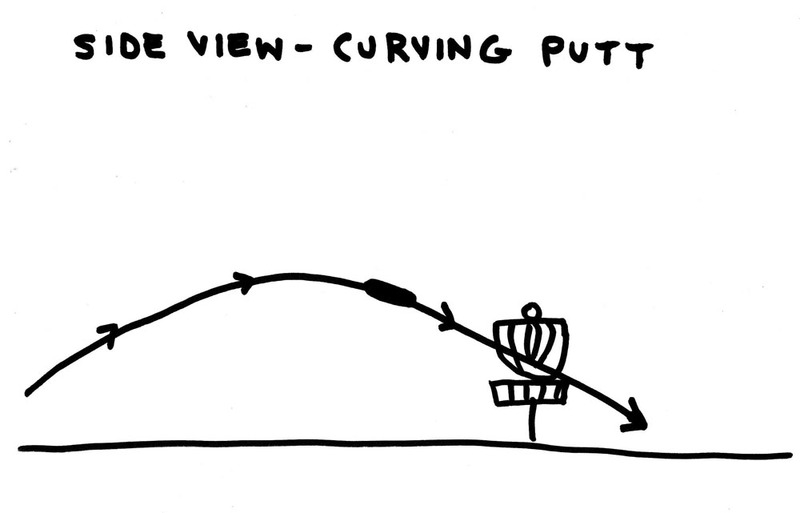 However, the object is for the disc to end up in the basket, and therefore longer putts with some downward momentum generally have a better chance of going in- particularly putts that are slightly off-target. So adopting an approach that combines the right arc and touch not only leaves shorter comeback putts . . . it gives your first putt a better chance to go in, too! On putts that are short enough that you know you should make them 99 percent of the time, I still recommend putting just hard enough to get a firm, straight line to the middle of the chains. On these putts it’s all about confidence, and tentativeness is your worst enemy. On downhill putts — especially those where the green continues to slope downhill after the basket — going for it is do-or-die. If you decide to go for it on an downhill putt, using an arc or too much touch in the hope of not going too far past is a surefire way to miss completely. If you’re going for it, putt hard enough to keep it straight and flat. If you’re not sure you can make it, lay up. 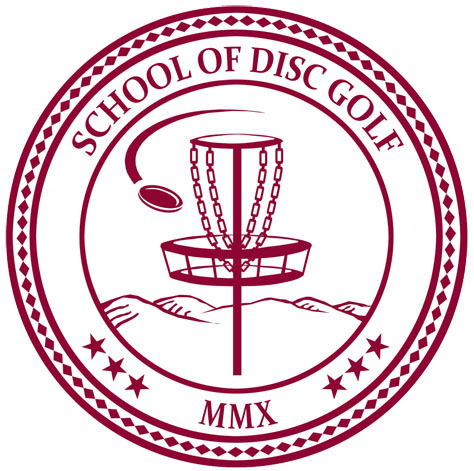 Jack Trageser is the founder of School of Disc Golf and will be writing with RattlingChains.com. You can reach him at jack@rattlingchains.com. Great read Jack. Thanks for sharing your expertise. I read this article twice yesterday to really absorb it. Went out this morning and shot my best round ever (which is still 2 over, but I will take it)! Being more cerebral around the green really helped me stay focused. If it wasn’t for a couple poor upshots and a drive O.B., I probably could have managed even par. I could not be more excited to see what Jack has in store for us next! This article sums up why I switched from spin putting to a pitch putt. When I missed the basket during a spin putt, I missed big and it left me a long comeback putt. I had my fair share of three putts. Now that I am pitch putting, which is like a lob putt, I don’t even think twice about whwere my disc will land if I miss, because I know that I will be within 5-10ft of the basket everytime. This has allowed me to concentrate more on a consistent form and it’s mostly all about release point, and having the disc “pop” out of your hand vs. spinning it. Outside the circle, I use a jump putt with the similiar arm motion, so there’s not a big change in form. totally in agreement. I have to use 3 different putting styles on the course. I spin putt for the most part, pitch put for “Death Putts” and straddle for the full affect of going for it without leaving a horrible comeback putt. I have seen strokes drop off. Dont go for it with a line drive spin putt if you feel you might miss due to wind or other variables. Shoot safe mostly, go for it when its safe to go for it and know the difference.